February brings thoughts of Valentine’s Day. 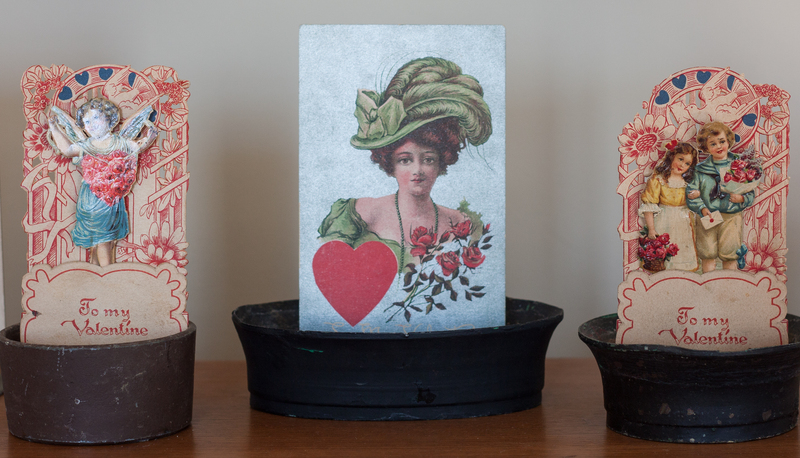 For this year’s Valentine’s Day decor, I used some of my vintage treasures to decorate my mantel and living room with a romantic theme. 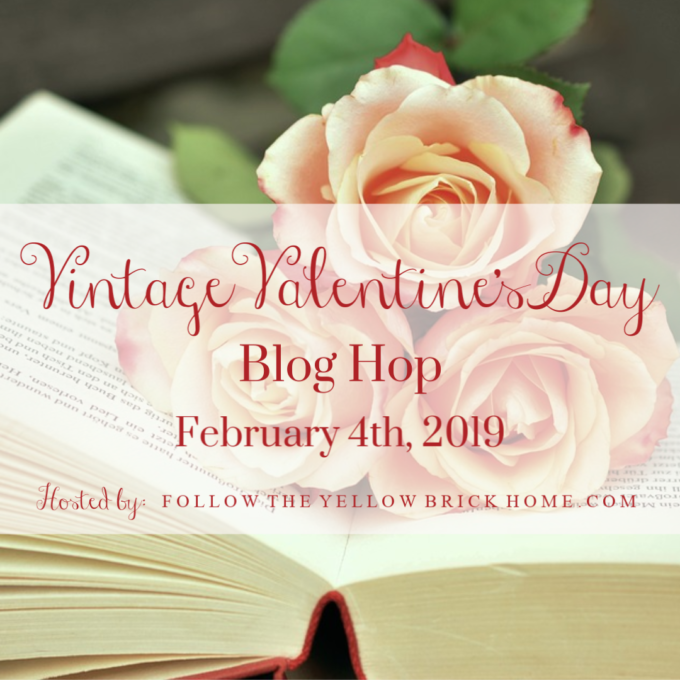 I’m sharing my Romantic and Vintage Valentine’s Day Mantel and Living Room Decor along with a talented group of bloggers for a Vintage Valentine’s Day Blog Hop. This tour is organized by my friend Amber from Follow the Yellow Brick Home. 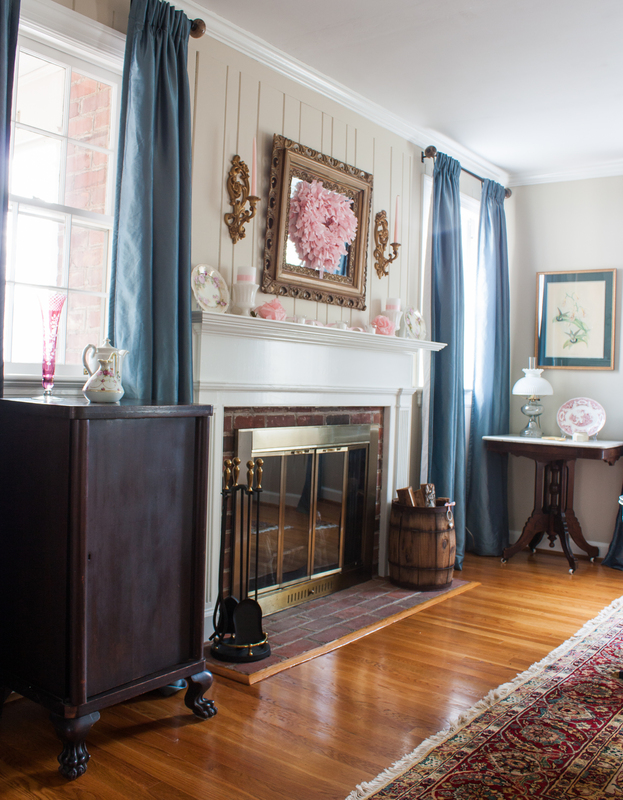 I love Amber’s gorgeous old home and how she decorates it so beautifully with vintage style. If you are visiting from Petite Haus, welcome! 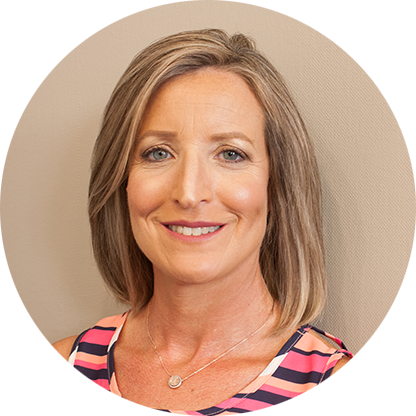 Angelina has a lovely home filled with beautiful antiques and is a talented decorator. I’m sure you enjoyed visiting her home. 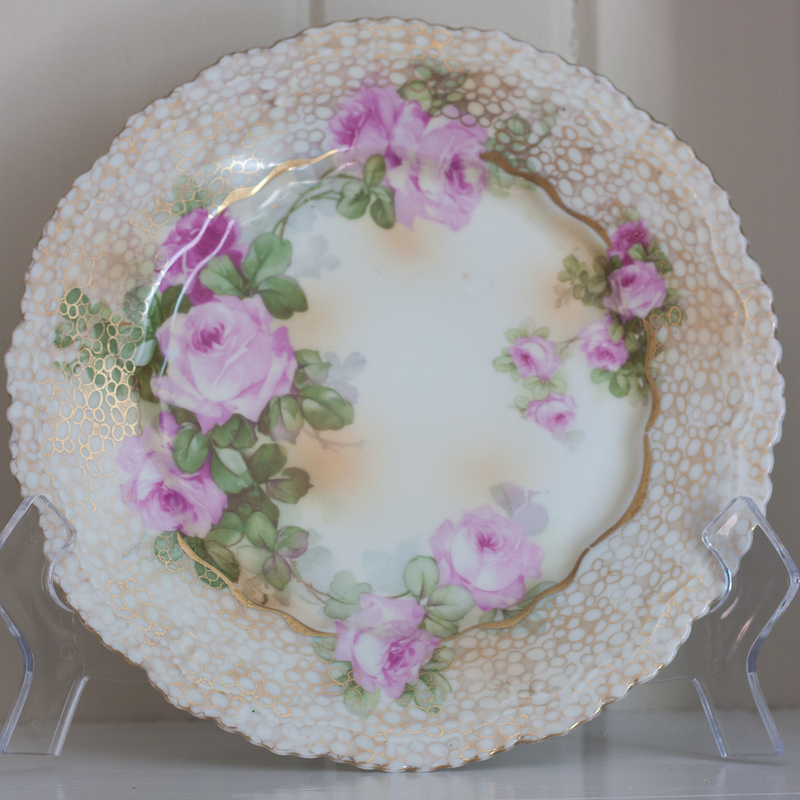 This year’s Valentine’s Day decor started with my aunt giving me two floral plates that belonged to my grandmother. My first thought was, “Where shall I hang these?”, then it dawned on my that they would look great on either side of my mantel for a Valentine’s Day romantic themed mantel. 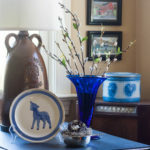 I started decorating our living room with the mantel, placing the two plates that my aunt gave me on either end. I then shopped my house looking for things that I could use that looked romantic. I added pink candles to the candle holders on either side of the mirror and made a heart shaped rag wreath to hang on the mirror. 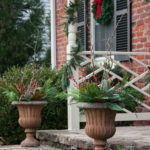 I had hoped to use the Farmhouse Style Rag Wreath that I made last year but it was too big. 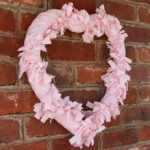 For this wreath, I used a heart shaped wire wreath form from the Dollar Store and tied on strips of pink quilting fabric, the same fabric that I used for the wreath that I made last year. Milk glass vases filled with a pillar candles are next to the plates. 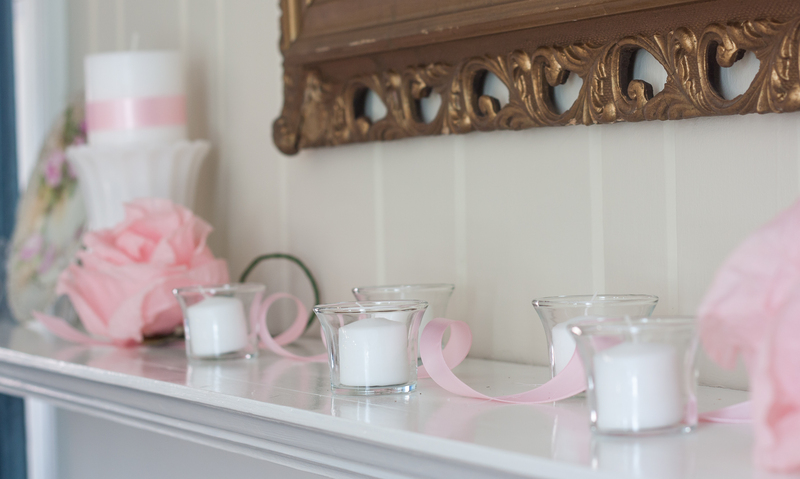 To give the white candles a touch of color, I wrapped them in pink satin ribbon held in place with double sided tape. The crepe paper flowers were made by my grandmother. One was on my 1994 bridal shower gift and the other on my wedding gift. I’ve saved them all of these years and this is the first time that I’ve displayed them. It’s fitting that I’m using them this year since July 2 will be our 25th wedding anniversary. Here you can see the pretty stem and leaves attached to the flower. Clear glass votive holders hold white candles under the mirror. Pink ribbon curls its way through the votive holders. I wish I knew something about these plates. 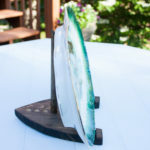 They came with plate hangers attached to them, so Granny must have had them on display in her house at one time or another. If anyone has any information about them, I’d love to hear it. Update: My aunt told me that these plates belonged to my great-great aunt Bessie. My aunt had them hanging on her dining room wall for many years and now they’ve been passed on to me. My aunt says that Bessie was a Seventh Day Adventist, a vegetarian, an animal lover, and interested in human rights before it became fashionable to do so. She was a working woman who worked for the federal government in DC. Ahead of her time and the rest of the family may have considered her odd. 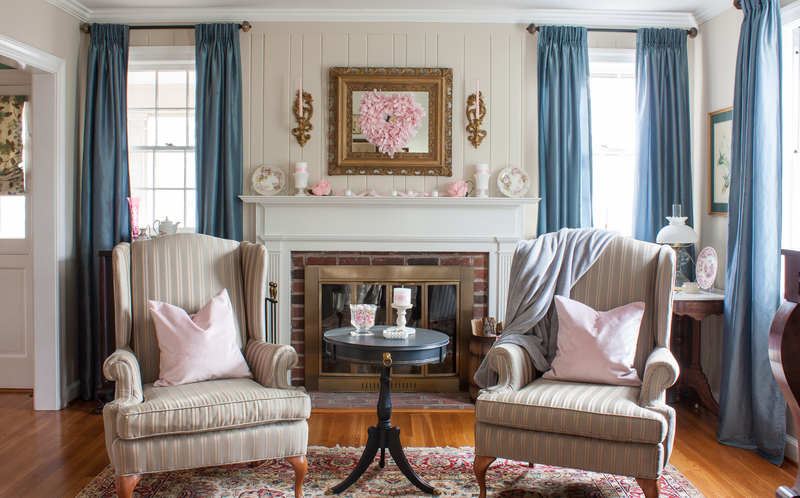 The wing chairs on either side of the fireplace continue the romantic feel with the addition of pink velvet pillows ($12.99 for two!) and a grey throw. 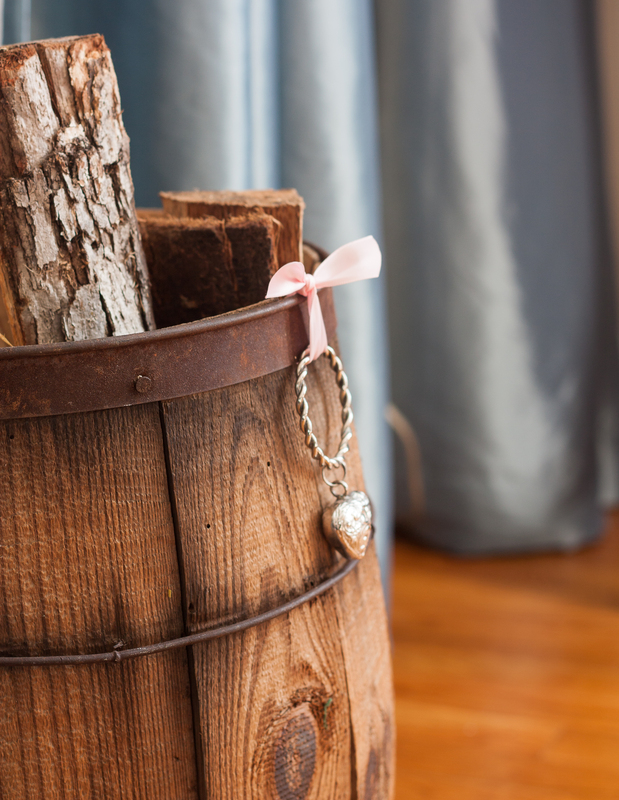 The wooden barrel on the fireplace hearth gets a touch of romantic decor with the addition of a heart napkin ring tied to the barrel with pink satin ribbon. Long ago I did a Valentine’s Day gift exchange with a group of on-line friends and my friend, Char, from Michigan sent this set of napkin rings as part of my gift. 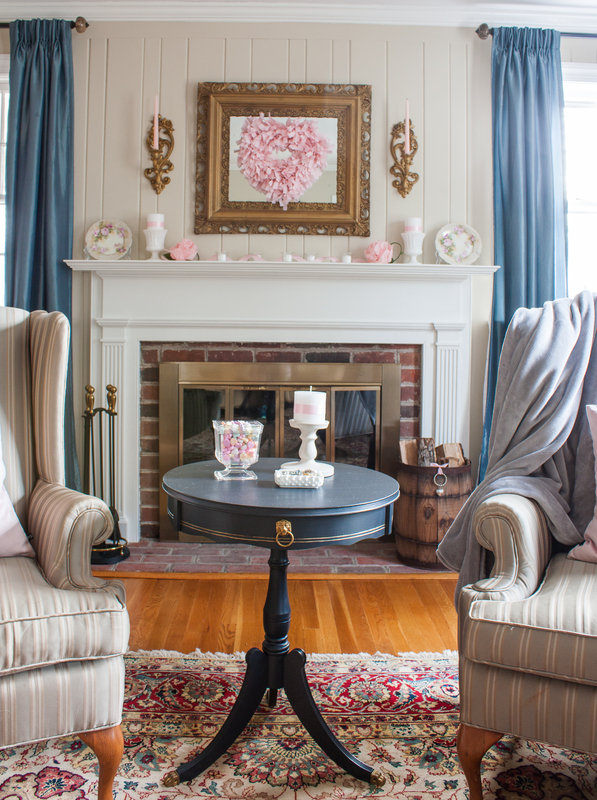 On the table between the wing chairs, I continued the romantic feel with another candle wrapped in ribbon, an antique glass vase filled with conversation hearts, and a milk glass ashtray filled with vintage jewelry. Are you wondering how I have conversation hearts when they aren’t supposed to be available this year? Well…I froze two bags that my husband gave me last year for Valentine’s Day to keep myself from eating them. I have a terrible sweet tooth! Vintage costume jewelry that belonged to my grandmother and great-great aunts glitters in the sunlight in the milk glass ashtray. You can see all of the vintage costume jewelry that I inherited here. After I decorated the mantel and table in front of the mantel, I focused on the music stand to the left of the fireplace and the marble topped table to the right of the fireplace. I shopped around my house looking for pink things to use in these two spots. For the music stand, I started with a pink vase that belonged to my friend’s mom. She recently died of Alzheimer’s disease, so this vase is special to me. 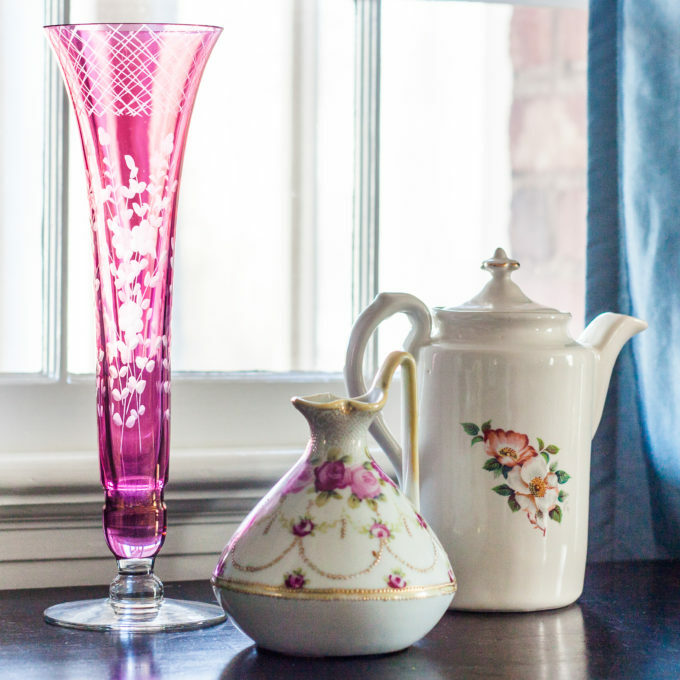 I paired the vase with a teapot marked “House of Webster, Eastland Texas” that my aunt once gave me for my birthday and a Nippon pink floral pitcher. The Nippon pitcher has a piece of masking tape on the bottom that says, “Dr. Mae Kelly.” Mae Kelly was one of my grandfather’s teachers in Giles County, VA. Grandaddy was the superintendent of Giles County Schools for many years and and during his tenure as superintendent, one of his many jobs was to hire teachers. He kept in touch with Dr. Kelly after she left Giles County and I’m not sure how my grandmother acquired the vase, but she marked it so that she would remember that it originally belonged to Dr. Kelly. My mother also has a connection to Dr. Kelly. When Mama was a freshman at Madison College (now JMU) in 1964, Dr. Kelly was her psychology professor. Mama remembers her reciting a lot of A.A. Milner poems to the class. She also remembers Dr. Kelly coming into class with the news that President Kennedy had been shot. 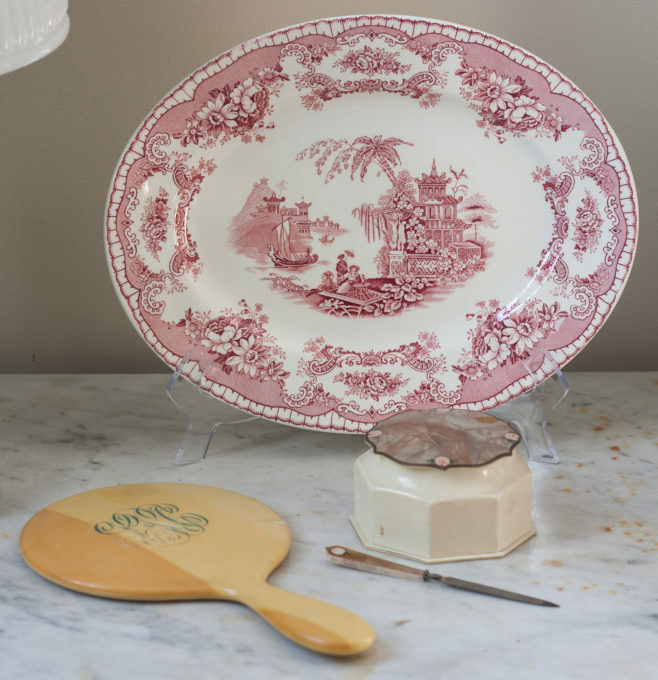 For the next table’s vignette, I started with a John Maddock & Sons “Bombay” transferware platter that belonged to my grandmother. I couldn’t figure out what to display with it, so I went shopping around my house, and found a few pieces of early 1900’s Celluloid Bakelite vanity set that belonged to my great-great aunt. The three pieces that I’m using are actually a part of two different sets that I have. I also have my great-great aunt’s bedroom furniture and every single morning of my teenage years I sat at her dressing table to do my hair and makeup and I used this mirror to see how the back of my hair looked. The next area to get decorated for Valentine’s Day was the chest. I don’t remember when I discovered chocolate sets, but I do know that once I discovered them, I was obsessed with getting one. 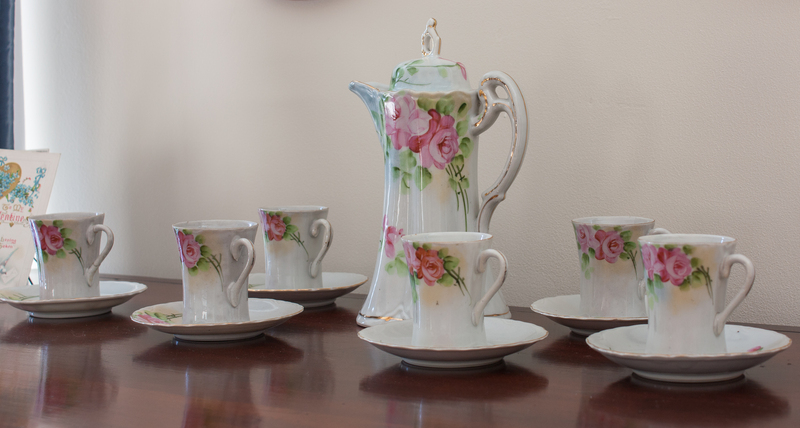 Mama gave me this Nippon set and that same year, I gave her one that I discovered in an antique shop in Annapolis. I’ve used this chocolate set in my living room, dining room, and on my dresser in my bedroom. I love it as much now as I did when Mama first gave it to me. I liked the chocolate set alone on this chest but for Valentine’s Day decided to flank it with a few vintage Valentine’s Day postcards. The card in the back was sent to my great-great aunt in 1907. It says, “Now be good, but if you can’t be good be careful”. The one in the front was never sent. 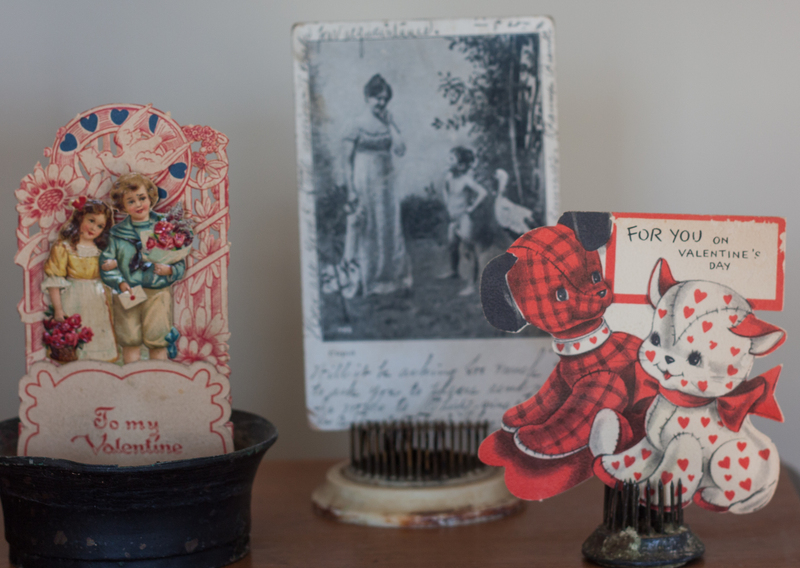 You can see my entire vintage Valentine’s Day postcard collection here. 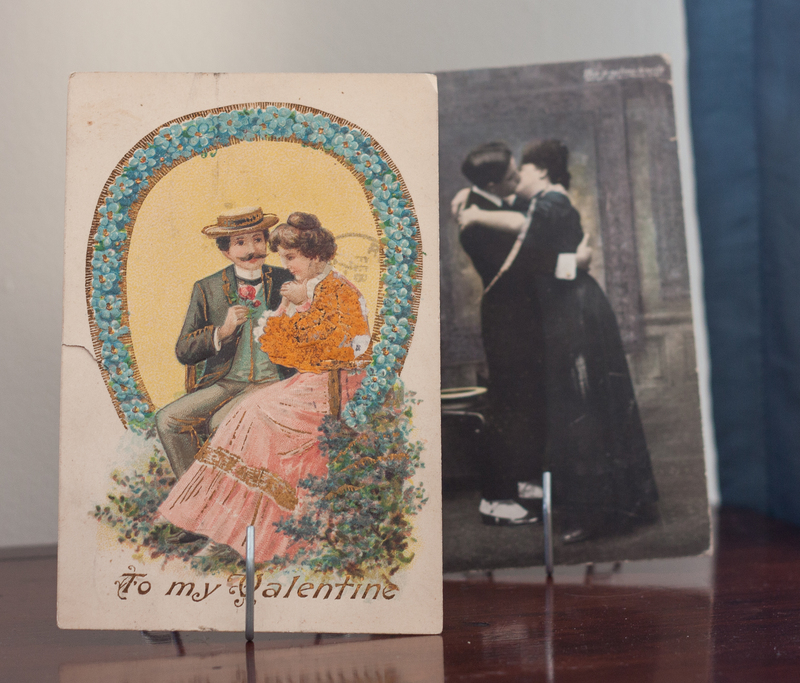 Both of these cards were sent to the same great-great aunt in 1907. One thing that I’d love to do is to get my dad’s 1960’s stereo rewired. The turntable spins but the speakers don’t work correctly. The box on top of the stereo was made from an old radio. The sheet music hanging above it is WWI era and belonged to a cousin of my grandmother. 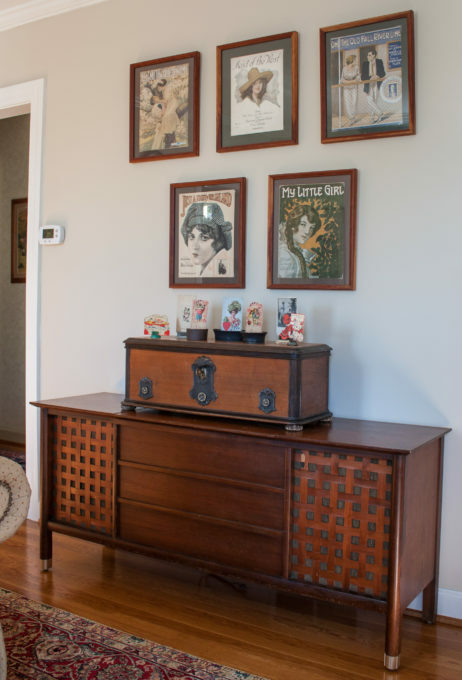 You can see more sheet music and read more about the family connection in my Cozy Winter Family Room post. 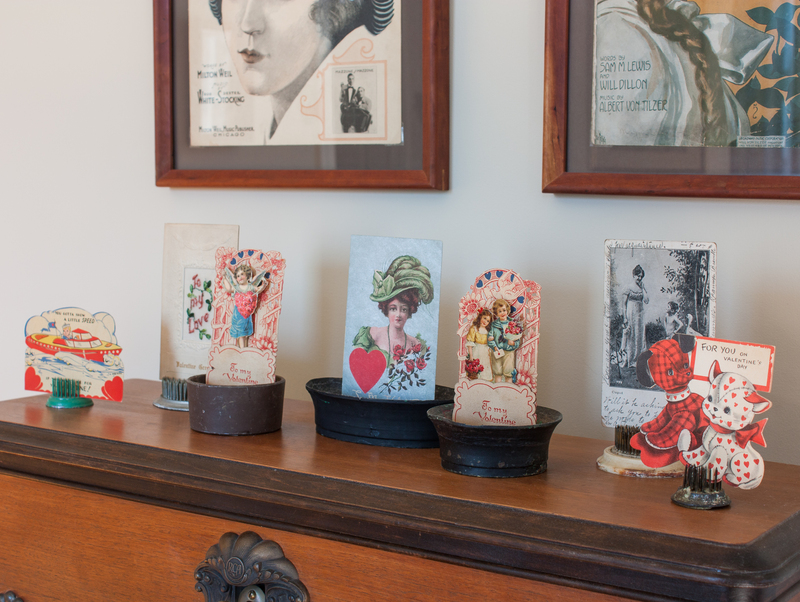 I used vintage flower frogs to display more vintage Valentine’s Day cards and postcards. The card in the middle was never mailed but has a long message written on the back (read it here), so I guess it was hand delivered. The other two cards originally stood up to be displayed. They were given to me by my friend at school and are from her family. The speedboat card and “To My Love” card also were given to me by my friend. The nearly naked Cupid postcard was sent to my great-great aunt in 1905. You might get arrested if you sent a card like that these days! Mama gave me the puppy and kitten card and I think that it was my grandfather’s. It says, “Love, Tommy” inside. Tommy was one of my grandfather’s sisters. I’ve had this room decorated for a few weeks and I’ve really enjoyed the romantic decorative touches that I gave it for Valentine’s Day. I would love it if you would pin this for others to discover! Next on the tour is County Road 407. I can’t wait to see the dessert table for two that she’s sharing for Valentine’s Day. Visit all of the homes decorated for Valentine’s Day using the links below. I’m looking forward to getting some ideas for Valentine’s Day decor from these talented ladies. Paula, you always share such pretty and interesting pieces in your posts. 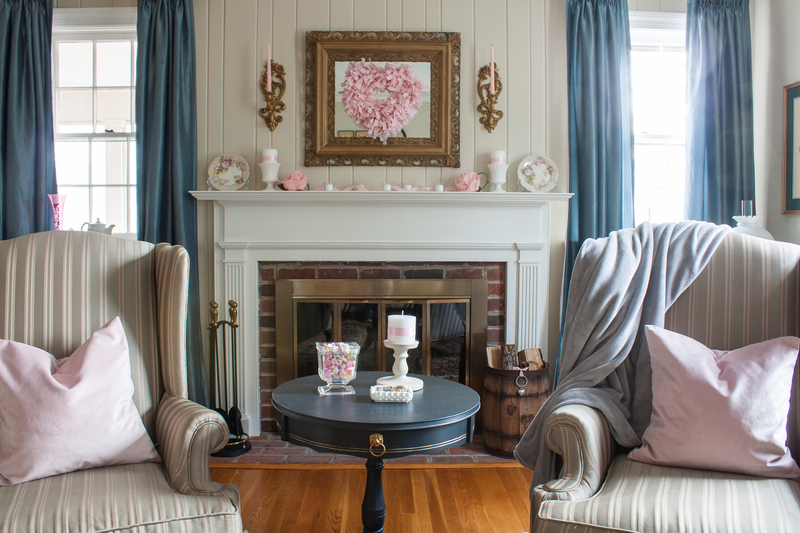 Those pink flowers on the mantel are beautiful and so special. 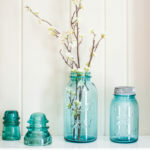 I love hearing the stories behind your items as they really make your decor so meaningful. 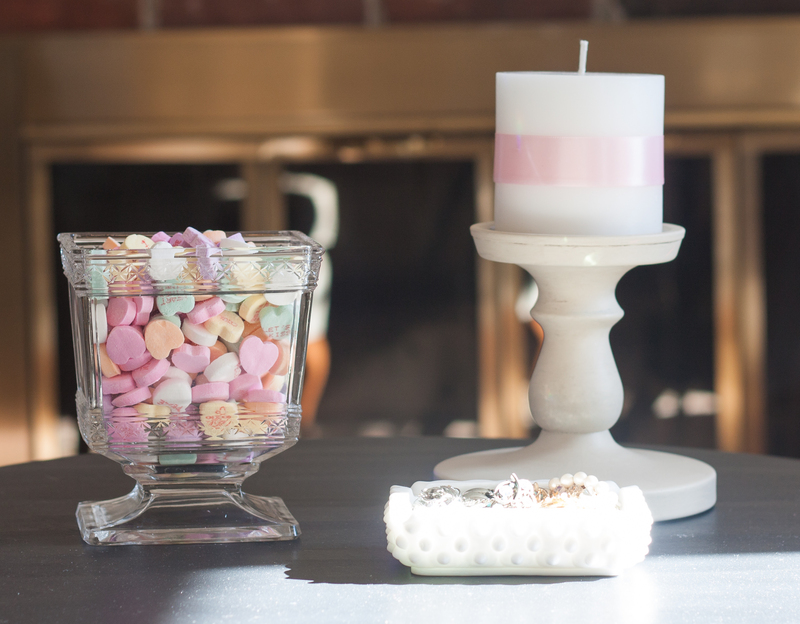 Your room and mantel are so beautifully decorated for Valentine’s Day! Great blog hopping with you! SOOOO many good ideas! I love that you brought the vanity set out where everyone can see it and enjoy it. Back in the bedroom, who sees it but you? 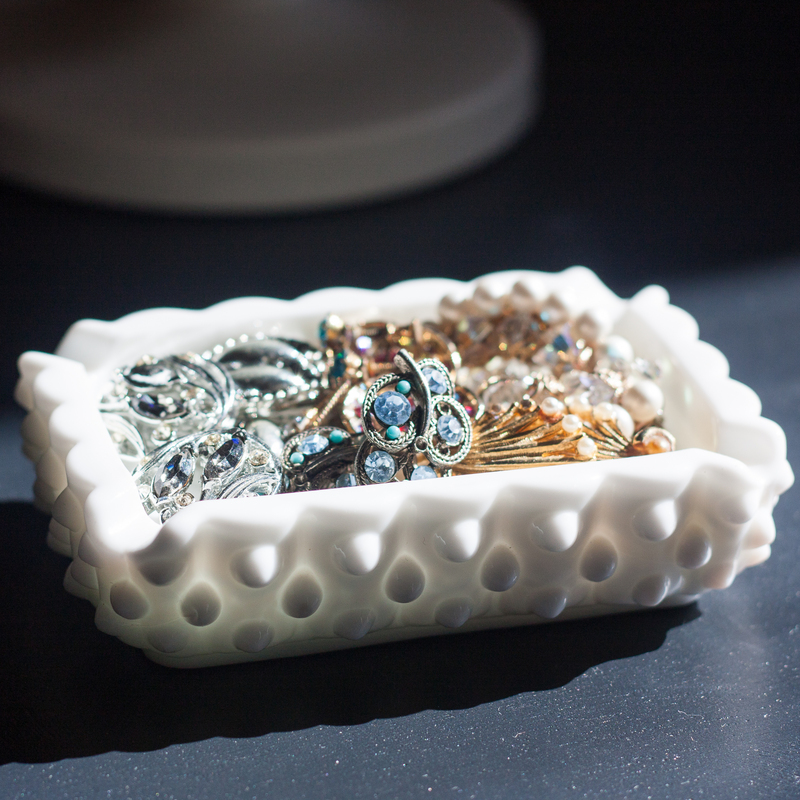 Putting the jewelry in the dish is genius – like a vintage fidget spinner. Love the crepe paper flowers. Nobody does anything like that anymore. That is love! Paula your home is so lovely. I love all your vintage style. Your mantel is a show stopper. I love it and those beautiful bird prints. Very nice. Had a great time doing the hop with you. Happy Valentine’s Day. Love the pink paper roses! All pinned. What a gorgeous mantel! I love everything about it. The wreath, the large pink flowers, the plates, it’s all so pretty. I especially love the dressed up barrel. Pink just makes everything better. 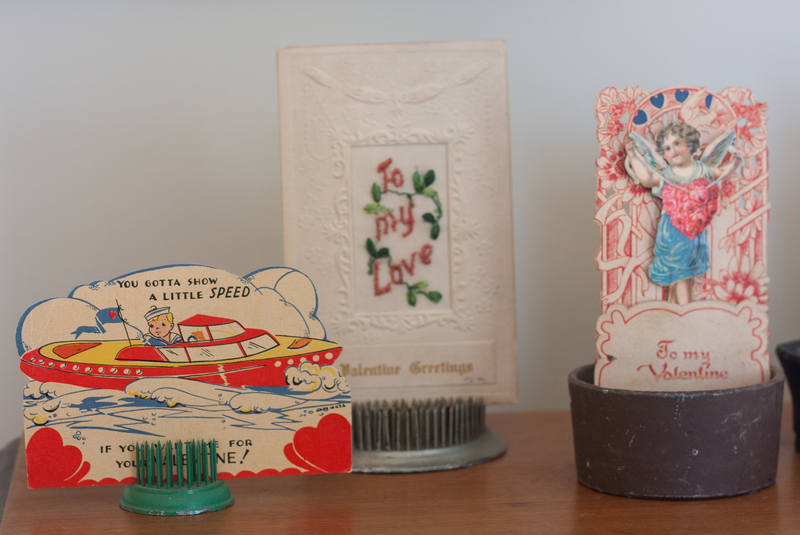 And I need to get my hands on some flower frogs and vintage cards – so festive! Happy Valentine’s Day! 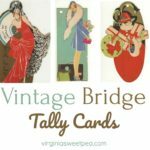 There is so much cute vintage in this post. I love your sweet rose that your grandmother made. Beautiful. I love your beautiful mantel! The heart wreath is pretty! I love those plates from your Grandmother too! Happy Valentine’s Day! I love reading the stories behind all your Valentines! The crepe flowers are so sweet! I love that you have them on display! So special!! This is so pretty. Paula! 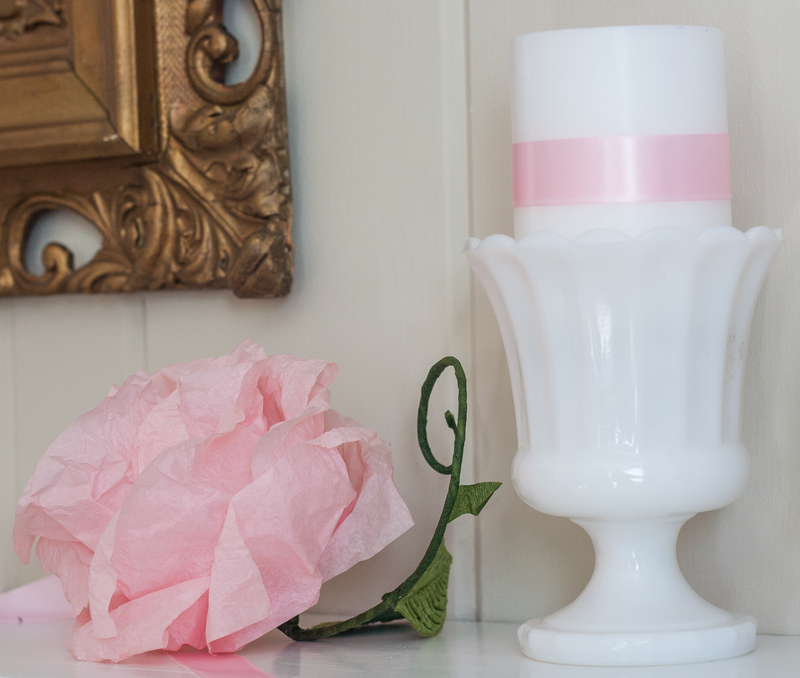 The pinks are so lovely and I especially love how you use milk glass! 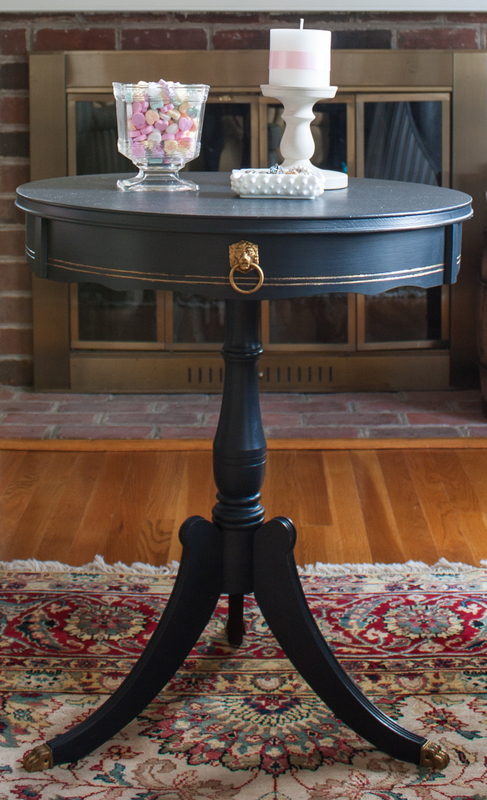 You have such pretty family pieces, too! It’s been fun doing the hop with you! Your displays are just perfect! I love the plates that once belonged to your grandmother. Looking at the flowers, it’s easy to tell that she was talented. Looks like it was passed down to you! Paula, you had me at pink. 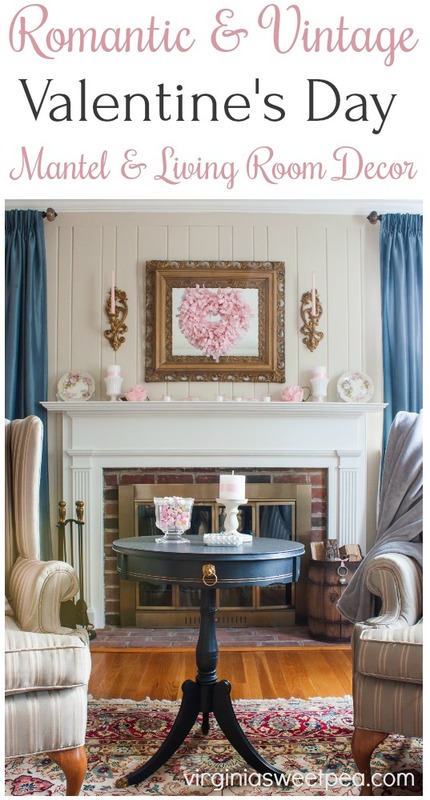 I love pink and you have used it in such nice, soft vignettes. All the vintage Valentines are so cute too. Love how you incorporated everything into your living room decor. 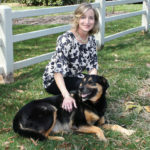 enjoyed being on the blog hop with you. 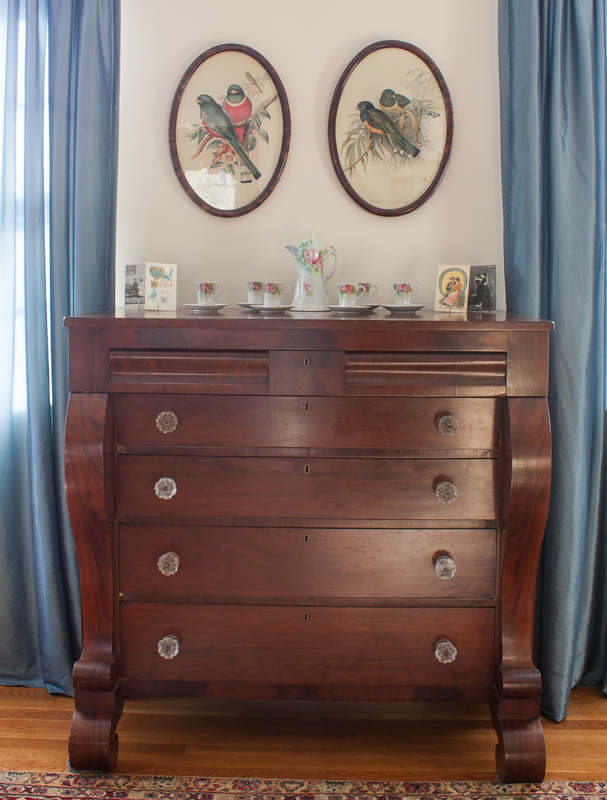 Knowing the stories behind your beautiful vintage pieces makes them all the more special. Thank you for sharing them. Happy Valentine’s Day! Blues have my heart these days and I just adore your family room. 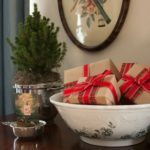 I always enjoy seeing your holiday heirlooms and how you use them in your home. 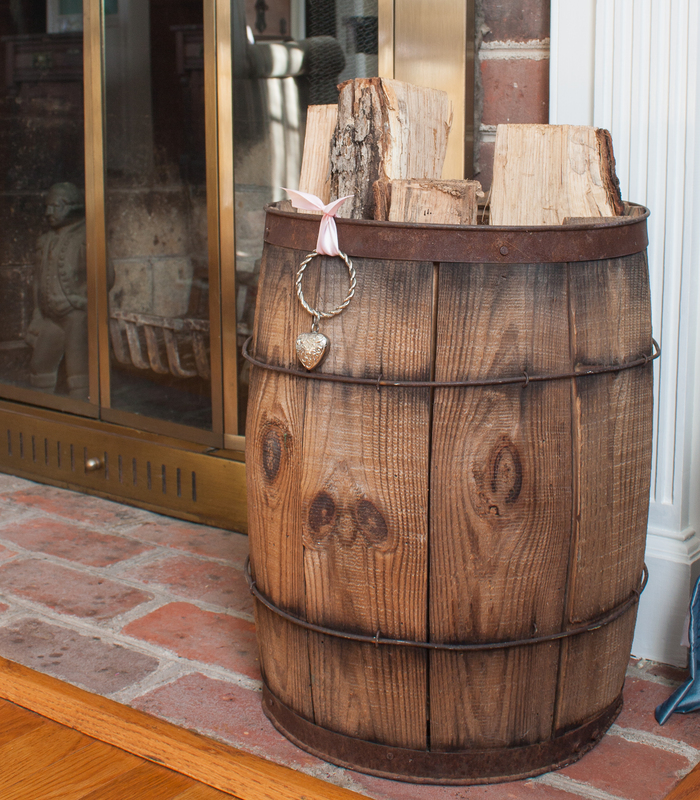 I love that barrel by the fireplace! 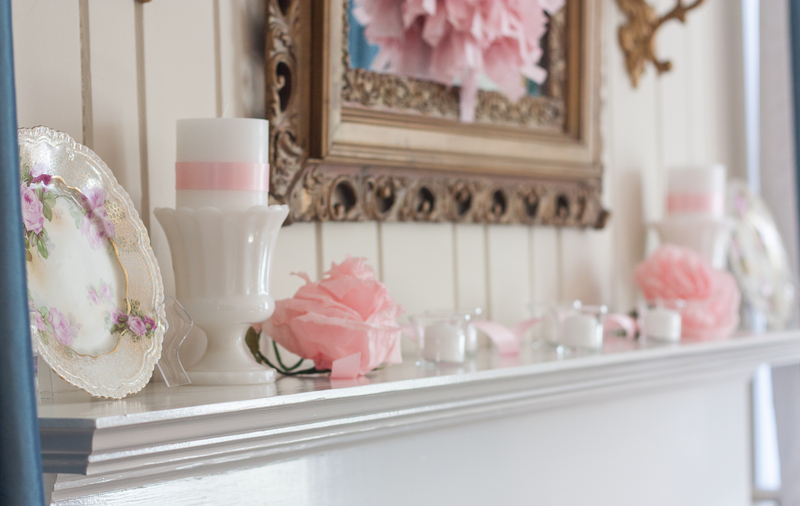 Love your mantel display, so soft and romantic. Paula your blue drapes and touches of pink drew me in from the first glance at this post. What a beautiful look! Those pink velvet pillows on the chair are perfection! You shared a racy vintage postcard in your winter tour and now another one here (if you can’t be good…be careful)…too funny! 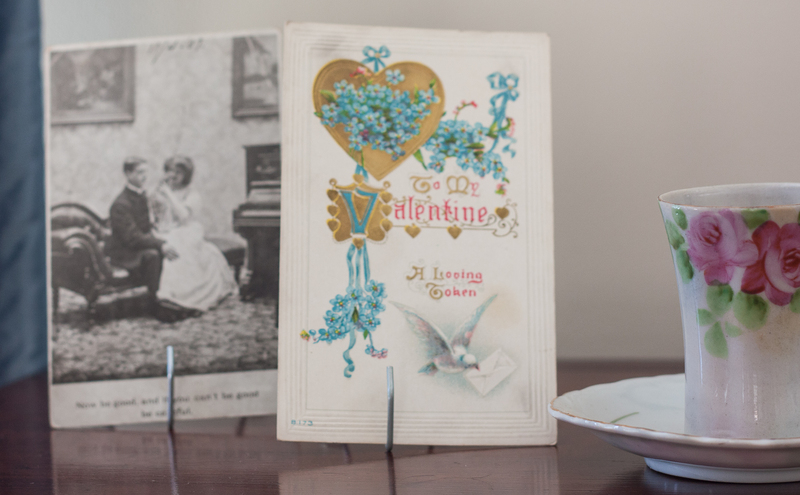 The sheet music on the wall is gorgeous and looks especially perfect for Valentine’s Day. The chocolate set, vintage jewlery in the milk glass, hand mirror, dishes flanking the fireplace, pink rag wreath…I CAN’T TAKE IT!!!! So much to love! I love the stories behind the pieces and the way you have chosen to display them is just beautiful! So pretty and perfect for Valentine’s Day! I enjoyed joining you on this hop! 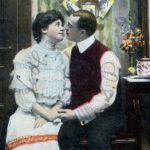 You have a fantastic collection of vintage Valentines and other things from your family. I hope you have someone in your family to whom you can leave all of these. I enjoyed seeing them and hearing your stories. I love the crepe paper flowers your Grandma made for you; how special that you still have them. Happy 25 Anniversary year! Last year was ours and I decorated our bedroom in reds and pinks for the occasion, too. Definitely something to celebrate these days! 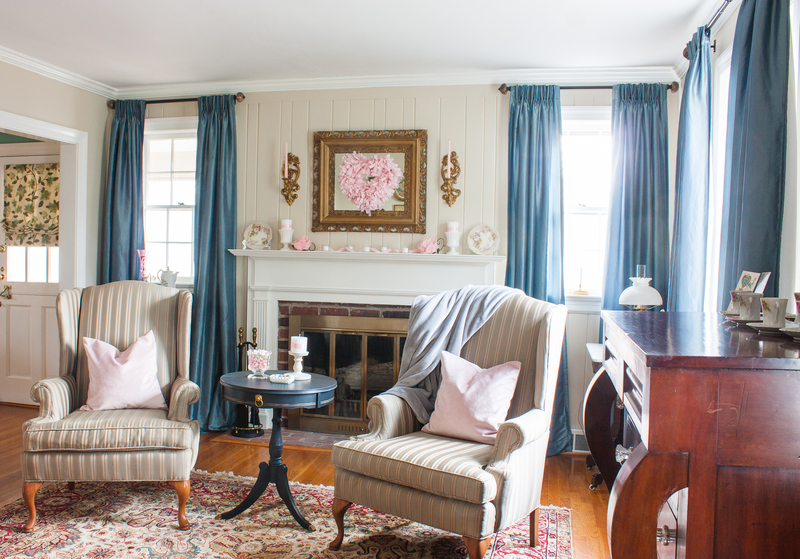 I just love the subtle touches of blush pink, so inviting in this room. That heart shaped wreath on the mirror is my fave! 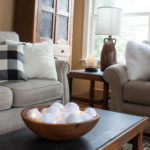 Paula, your romantic living room is gorgeous! 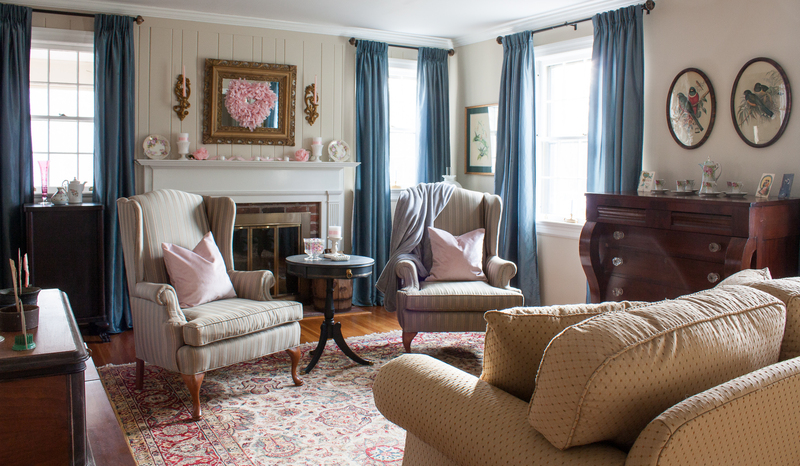 Those blue curtains accented with touches of pink is beautiful. 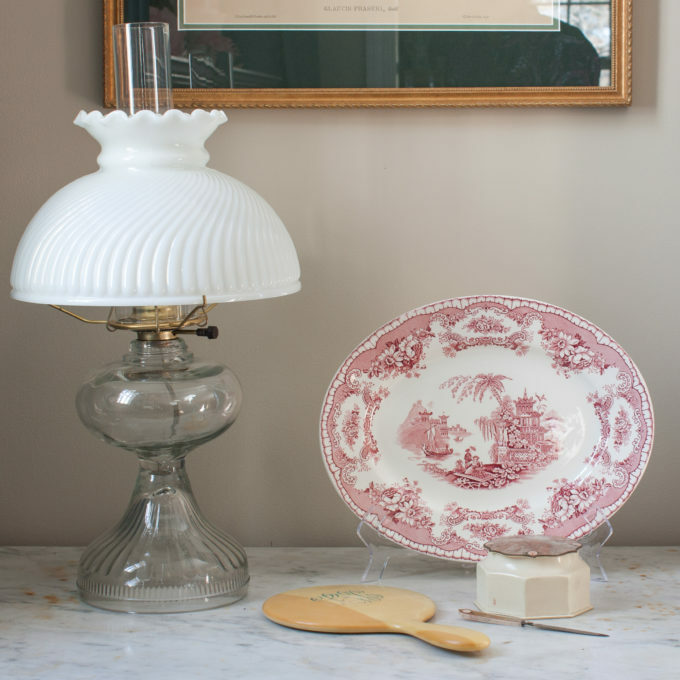 You have so many pretty vintage plates and other items that create such lovely vignettes. 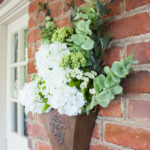 It has been so much fun being on this blog hop with you! Happy Valentine’s Day!!! 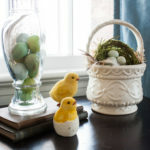 Paula I love how you incorporate such meaningful objects into your vignettes. The mantel flowers are truly touching. Have a love filled week. 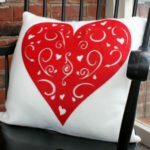 What special elements you have used to add some Valentine’s decor to your home! 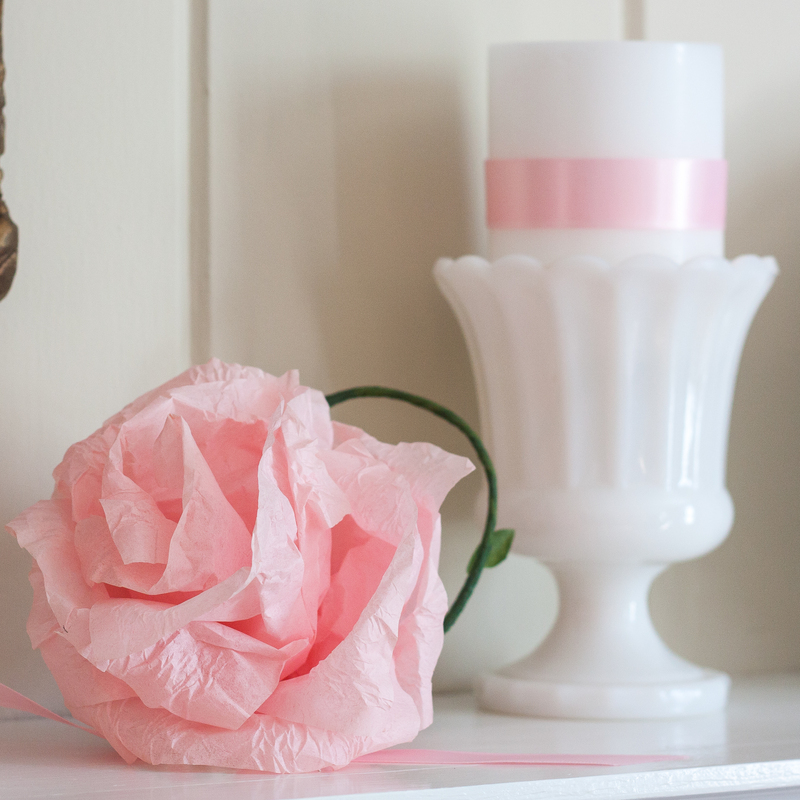 those crepe paper roses are beautiful! What a treasure they are. Happy anniversary!! Thank you for sharing at Celebrate Your Story! Thank you, Julie! I think I’ll take down the rag wreath heart now that Valentine’s Day is over and enjoy this mantel for a bit longer.